The story of the Majestic Theater is one that echoes the story of its Chillicothe home. This towering playhouse sits mere blocks away from many of the town’s downtown restaurants and shops. While it can be said that the theater—and its neighborhood—have seen better days, the theater’s best days may not be behind it. A series of renovations could bring the theater into this century, opening the possibility of getting new money into the downtown area, while maintaining the integrity of this historic institution. Built in 1853 as an entertainment center for the town, the Majestic featured a theater and a dance hall and was home to the town’s Mason Chapter. While the Mason’s would eventually leave the Majestic, their presence can still be felt on the building’s top floor. After the Freemasons moved, the theater would trade hands several times in the 20th century until it was bought by a trio of Chillicothe businessmen in 1990, who turned the decaying theater into a non-profit. 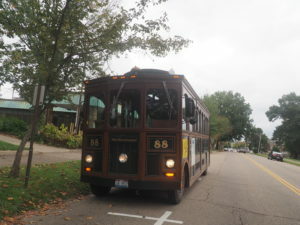 “It’s about reliving history, which is what Chillicothe is known for,” says Gene Betts, a board member at the Majestic. Once the new management had the Majestic, they did what they could at the time, giving it the service needed to bring the theater into the 1990s. Since then, the renovations the Majestic has received were mostly from state grants, but the theater is again showing its age. Going into downtown Chillicothe, it is clear that something needs to bring people and money into the town. Along 2nd Street—one of the more developed streets in the downtown area—several empty storefronts, and the occasional dilapidated building, show some of the financial issues the city is going through. While the old buildings still have their beauty, some are sadly falling into disrepair. The money that was used in the 90s is gone, and while many are willing to help the Majestic, most simply are not able to make contributions that would help the theater in a meaningful way. Which is another reason the Majestic’s supporters are fighting to get it restored. “There’s a huge focus on downtown revitalization, and this is a landmark, and get to get people downtown seeing shows,” Betts says. 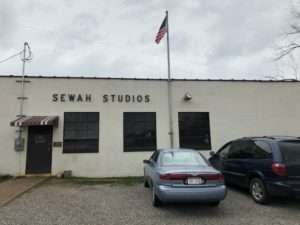 If the theater can earn this grant money and improve the Majestic, the aging theater has a chance at attracting larger shows, which will bring in more customers that the downtown needs. Betts is not the only one thinking that; currently the city is in the beginning phases of renovations for East 2nd Street. Just next door, there are several empty storefronts being renovated, waiting for the right business to set up shop. The city and their Chamber of Commerce are constantly competing for state grants that could provide an injection of capital that could help restore Chillicothe to its former glory. Looking at it’s face the Majestic is still a beautiful, and commanding building. Upon closer inspection the problems that plague the playhouse become apparent. The beautiful stained glass windows are bowing inwards from age and the elements. The bathrooms and lobby are small, and in the case of the men’s restroom almost unbearably so. The Majestic’s age becomes apparent when one sees the state of the tattered red floral carpet that leads down some of the aisles in the main seating area. The ceilings, adorned with simple paintings fitting of a stage, are chipping away, but enough is still there to show their original beauty. Along the left side of the theater that leads to the stage, the paint—and even pieces of the wall—began to crumble some time ago. As the paint breaks down, it covers the black power cords that power everything from lights to speakers for the stage. While most theaters have their lighting controls tucked away from the public eye, the Majestic has theirs controlled by an outdated, jury-rigged box. So, the operator is actually taking up balcony seats that could be used for patrons. 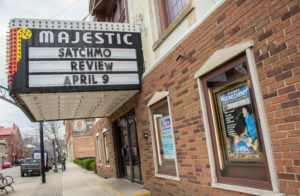 The Majestic is on track to receive $750,000, as part of a larger plan to renovate the town—should the state budget for the next fiscal year pass. 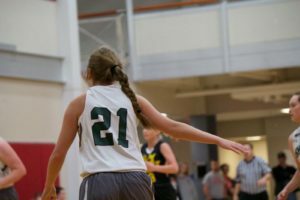 Other works that are also receiving funding are the Chillicothe branch of Ohio University and a local athletic center. This grant would help the theater renovate and expand the facility, making it more attractive to production groups and cliental alike. 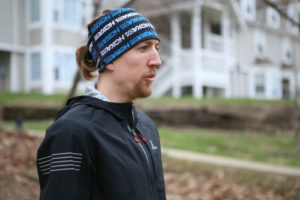 “It’s been great with the county [who has] helped us with some things, and it’s a lot of people helping the majestic to find grant opportunities,” Betts says. As it stands right now, the Majestic is not a handicap friendly building. Much of the building was made before elevators were a common luxury. 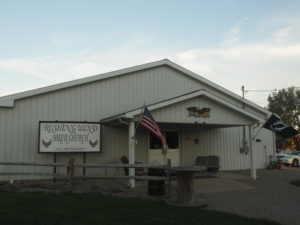 To maintain the building’s historic features inside, an external elevator next to the building could help make the building handicap accessible. The Majestic is not a large theater, but the stage—with curtains fully drawn—seems almost larger than the audience it is meant to entertain. Those working in the Majestic are not blind to the challenges they face, but rather look forward to what their hard work will bring. 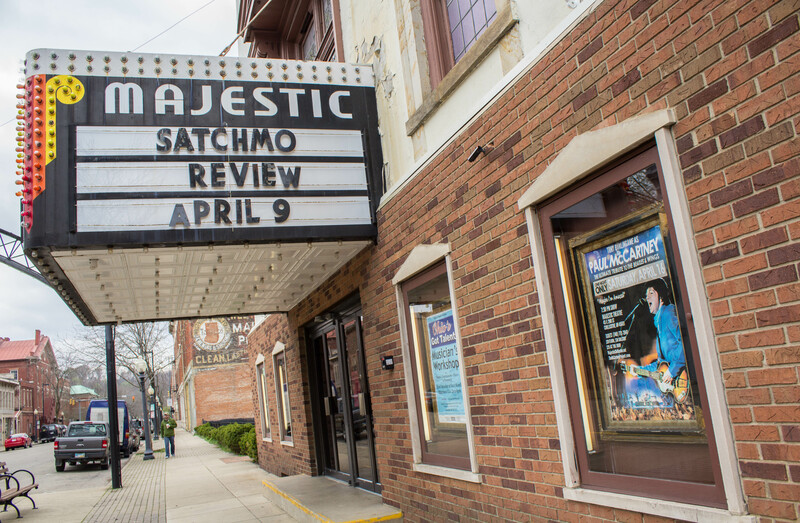 The Majestic’s facelift could be a new beginning for Chillicothe.